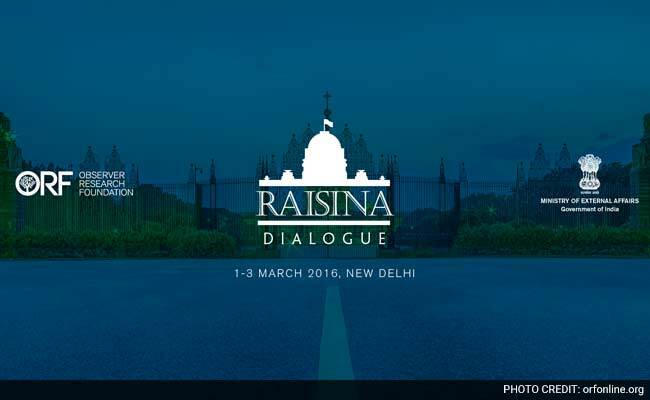 The Raisina Dialogue is envisioned as India’s flagship conference of geopolitics and geo-economics. It is designed to explore prospects and opportunities for Asian integration as well as Asia’s integration with the larger world. It is predicated on India’s vital role in the Indian Ocean Region and how India along with its partners can build a stable regional and world order. The 2016 conclave will focus on Asia’s physical, economic, digital connectivity and fostering common global spaces with an emphasis on Asia. This two-day annual conference is envisioned as a multi-stakeholder, cross-sectoral meeting involving policy and decision makers, including but not limited to Foreign, Defence and Finance Ministers of different countries, high-level government officials and policy practitioners, leading personalities from business and industry, and members of the strategic community, media and academia. The conference hosted by the country’s leading think tank, Observer Research Foundation (ORF), jointly with the ministry of External Affairs was represented by delegates from 130-odd nations. Though it has a global elan, the focus on South Asia, Central Asia and its connection with the rest of Asia can hardly be missed. From India’s perspective, the forum offers a unique opportunity to discuss and collaborate on strategic affairs and has all the potential of turning into an Indian version of Shangri-la Dialogue, an annual event hosted by International Institute of Strategic Studies (IISS) in Singapore.